he dining room at Laurel Nest is located just behind the front entry hall and through a stone arch. 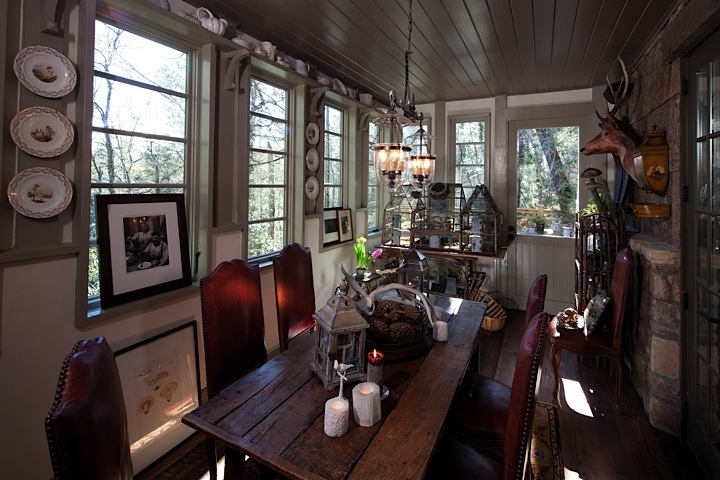 This room was once the outside porch, but has been converted into the most enticing dining area. The long rectangular table and red leather chairs invite you to the wonderful evening ahead. Take a design tip from Bill and add a shelf and brackets over your windows to display a collection. I love the vertical plate arrangement that leads your eye up to the shelves. 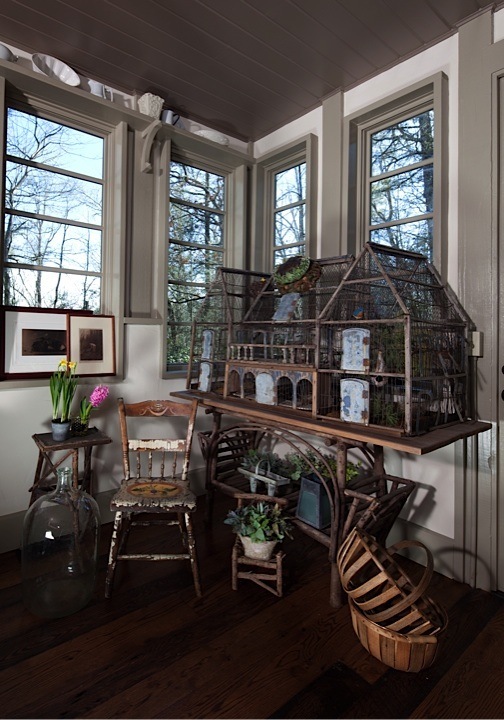 Candles are scattered everywhere and a large antique bird cage adds to the charm and gives a nod to the outside living area beyond the door. Enjoy! Very attractive and quite inspiring ! This is so interesting and great decorating ideas! Love the birdcage, little chairs and plates on the wall! Cathy, This room is amazing! great styling…the mount, the birdcage, all of it. Are the leather chairs antique? Jennifer, they are antique. I love the red-especially in the dining room. Love it- when can I move in? That could be hard–I think it is his dream house.